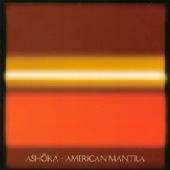 "American Mantra" is Indian-American artist Ashoka's celebration of the American dream through rock'n'roll. On this 11-track release, talented singer/songwriter/drummer Ashoka steers the ship, playing most of the instruments on this album himself, as well as laying his heart and soul into every tune. Ashoka utilizes swirls of electric guitar over rootsy arrangements to create a down home feel to his alternative rock style. Imagine Hendrix jamming with John Cougar, and you've got a good idea of what this multi-faceted artist is all about. "American Mantra" is passionately pensive, melodic and radio friendly. Never overwhelmingly heavy, but definitely well produced and sounding very full, "American Mantra" is like listening to a rock'n'roll spirit through a folk singer's ears, and is worth a listen if you may dig a guitar-oriented Counting Crows. For more information, check out http://www.ashokamusic.com.